Mumbai has always been a desired residential hub of the country, thanks to its commercial importance and enriched social infrastructure. In the last few years, property in Boisar, one of the most popular localities in Mumbai, has been in the spotlight of investors. The area has witnessed a phenomenal growth in infrastructure in the last decade. A number of investors are interested in the projects in Boisar that are being developed by reputed real-estate firms. Several prominent firms have come up with sophisticated residential complexes in the region in the last few years, making it one of the most popular residential areas in Mumbai. The location advantages of the area have leveraged the demand for residential properties. Well, the prices of properties in Boisar have risen over the years, and they are likely to further escalate in the years to come. With the development of roadways, upgradation of transportation system and security facilities in the area, the value of residential property has gone up. For investors and homeowners, this is the best time to invest in the properties in the region. 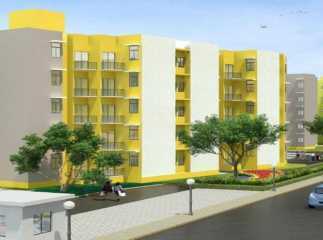 You may be willing to buy flats in Boisar for commercial use or residential purposes. The value of returns on selling the properties in this area is high. You will get optimal returns of your investment when you buy these apartments. If you are looking for quality homes in Mumbai, have a look at the apartments in Boisar. A large number of families have already moved to these residential complexes, while others are booking their apartments in the upcoming projects. The interiors of these apartments are sophisticated, and you will enjoy the elegant furnishings here. People with a fascination for green living will also find the villas in Boisar ideal for them. You can enjoy the large open green spaces in the complex. A large proportion of the complex has been dedicated for public use. The apartments come with all the sophisticated amenities you crave for, to leverage your class of living. The residential complexes are centrally located, with easy communication facilities to the important places around. Mumbai is one of the most commercially important cities of the country. A dense network of roadways connects the residential complexes to the commercial areas. Besides, places of entertainment are plenty. 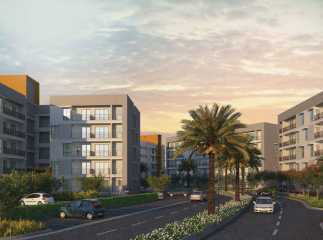 A large number of shopping malls, multiplexes, and restaurants are located close to the estates. The plots in Boisar are also known for their close proximity to the schools and hospitals in the area. The educational and healthcare infrastructure of the region is refined. You will get the best mix of luxury and comfort when you move to these apartments. The residential complexes come with a large number of lifestyle and fitness amenities. These include swimming pool, gym, jogging tracks, cycling tracks, meditation halls, dedicated play areas for children, and clubhouse. For investors and homeowners willing to buy property in Boisar Mumbai, this is the right time to make the move. The prices of property in the region are on the rise. You will enjoy elegant homes with all the amenities you want, when you shift to these residential complexes.